We have spoken briefly about the Awliyah and who they are. We now wish to expand upon our previous words in hope that this will benefit the Muslims. The topic of the Awliyah is vast and this is not even an introduction to this subject. It is merely a letter that does not even add up to a word. What is a Wali? Who are the Awliyah? A Wali is someone who reached a rank among the Muslims that only religious folk can understand. They have three levels: the ordinary level, the elite and the elite of the elite. The Christians call their elite saints and this has been used by translators of Sufi texts but its not a term used often by Muslim Scholars. There are different definitions about who the Awilyah are. Imam Abu l’Hassan As-Shadhali (may Allah be pleased with him) said, "The Awliyah are two types: the righteous and the truthful. The righteous are substitutes for the Prophets and the truthful are the substitutes for the Messengers.” (Hikamah As-Shadhali number 41). They are people who Allah has blessed with special rank amongst the Muslims of his time. This level is not Prophethood but is rather a special rank that people do not have. We can benefit immensely through their spiritual insight and their presence. But many people have said that the Awliyah are not known in these times, so they are very rare. In Morocco, they have a saying that they treat everyone well because they do not know who is a Wali and in Yemen they do the same not knowing if the person is Khidr (upon him peace). As he is one of the Awliyah mentioned in the Quran. The Awliyah are more beneficial to others than themselves. Their very existence is a blessing for all those in their proximity with the exception of those who oppose them. For those who oppose them have exposed themselves t0 the punishment of Allah (the Exalted). The heart of a wali is pure love towards Allah (the Exalted) and there is no room for dislike of anyone. Their hearts are directed towards Allah (the Exalted) and not to creation. Give me some examples of the Awliyah? This is a simple enough question and we need to just look into the Quran and we can see exactly who these people are. There are some mentioned in the Quran; Maryum mother of Prophet Isa (upon him peace), Asaf one of the Ministers of Suleiman (upon him peace) and Khidr (may Allah be pleased with him). There is a reason that I have mentioned these three which shall become clear later. Allah loves all his servants but those who He brings close to him are given special favour because of a secret. This is the meaning of the word wali; the one who has been brought close. As for the secret; the Wali draws closer to Allah (the Exalted) through a consistent action of something. Most of the Awliyah approach Allah (the Exalted) by: the means of knowledge, service to others, charity, patience and other means. These are ones that I have noticed but one of the other ways the Awliyah approach Allah (the Exalted) is through tribulations; the loss of people close to them, loss of wealth and health. The core point is that a person focuses their hearts with Allah and not anything worldly. As a heart filled with worldly things can be broken but a heart that is filled with the remembrance of Allah is unbreakable. As time went on the spiritual masters were given insights into Quranic verses and prophetic narrations that allowed others to traverse an inward spiritual path that became known as Tariqah. This is something of a science of Islam like grammar, inheritance or fiqh. It was drawn from the sacred sciences. Eventually spiritual masters appeared and their subsequent students preserved their methods and this was then propagated as the path of X. It was after the time of Imam Al-Ghazali (may Allah be pleased with him) that these paths became more apparent as before they were unknown. Imam Al-Ghazali clarified many points of Sufism that were confusing many and he assisted the development of the paths that would appear after his time. What a debt is owed to him by the Muslims! This path is of the great spiritual masters like Abdul Qadir Al-Jilani, Junaid Al-Baghdadi, Imam Ahmed Rifai, Abu Madyan, Abu l’Abbas Al-Mursi and Abu l’Hassan As-Shadhali (may Allah show them all mercy). There are so many names I could mention here; in fact there would be so many names that the whole blog would be full! The way of the Awilyah is compassion and mercy towards all living creation. The sultan of Awilyah Sheikh Abdul Qadir Al-Jilani (may Allah be pleased with him) once said he had compassion for a dog, if it would bite him. Why are they like this? Because they are following their master Muhammad (may Allah bestow peace and blessings upon him). Essentially, following any spiritual path is purification of the heart to follow the heart of the Prophet (may Allah bestow peace and blessings be upon him). This could be why it is so hard! They were instrumental in the spread of Islam in the world. As Islam spread quickly, within one hundred years, it had vast empire that stretched from Europe to China. But this was in terms of political power but in terms of numbers, it was the Sufi’s who spread Islam in these regions. Islam took generations to be accepted; maybe it took as much as six hundred years for these areas to reach fifty percent. No wali has incorrect Islamic belief and its part of the way that they have sound Islamic belief. The Awilyah face persecution and harm from people because people cannot understand them as they are different to them. Malik ibn Dinar was cursed to his face. Abdulqadir Al-Jilani was rejected by the scholars of Baghdad. Owais Al-Qarni (may Allah show him mercy) was seen as nothing by his people. Many were mocked by people who lived in their locality and they did not care about them. Be warned, there are many claimants to the throne and only few are true. You may know one and not realise who he is. So do you think that you’ll recognise one of the Awliyah? You won’t recognise them at all. How can I say that? Look at the story of Sheikh Abdulqadir Al-Jilani (may Allah be pleased with him) when he was about to begin teaching, the scholars of Baghdad sent him a container of water that had no room for another drop. He placed a rose upon it and sent it back. Don’t think this is small matter because at the time Islam was at its peak and Baghdad was the centre. So in the centre, at the peak of Islam with many leading scholars, they refused to recognise Abdulqadir Al-Jilani. The sultan of the Awliyah; at his feet do the rest of the Awilyah begin. So do not think that you’ll see one and know them. As all the Awilyah are nowhere close to his rank. Even the famous ones are mixed bag because there are many fake ‘pirs’ making false claims like they are going out of fashion. Please keep reading for the conditions of a spiritual master. The Awliyah are most disliked and disrespected in their regions because people are not like them so they hate them. This is one of the signs of a true Wali that he is hated in his area. The Tahawiyyahin doctrine (point 99) states that we believe in miracles of the Awliyah (p.139 commentary by Imam Medani (may Allah show him mercy). We believe in their miracles that are reported from trustworthy sources and especially those that are mass transmitted. Like the miracle of Imam Al-Rafai (may Allah show him mercy) who kissed the hand of the Prophet (may Allah bestow peace and blessings upon him) before a few thousand people. This is affirmed in all books of the Ashari's and Maturdi's that the miracles of the Awilyah are something we believe in, which is a refutation of the Mutzilites view who reject them outright. Rejecting them is an act of disbelief according to Maturidis as the miracles are mentioned in the Quran; of Maryum, Asaf and Khidr (may Allah be pleased with them). Asharis do not consider it disbelief to reject them but major sin. Yet, note a true wali will not advertise his miracles rather he would hide them according to Hakim Al-Tirmidhi. And Awliyah hide themselves now so do not be deceived. This can be generally said about all miracles. One of the stories, quoted in the above text, is when a wali kept telling people the means to cure their illnesses. When another wali found it he admonished him and told to desist which he did not heed. Later, he was afflicted with dire stomach pain and affirmed the wali’s opinion. Then he asked him to pray for him but he refused, so the wali died." The main difference between the miracle of a wali and a prophet is that the miracles of a wali are a display of his obedience and the miracle of a prophet is to proof of his truthfulness. In English there is only one word for miracle but in Arabic there are two, to differentiate between the miracle of a prophet and a wali. A Prophet has a mujiza and a wali has a kiramah but in English there is only word miracle but in essence these serve different purposes. The main purpose of miracles is to prove to those who doubt and to affirm the believers. Is it not strange that the average believer seeks miracles but does not realise what he is asking for. This cannot occur to someone who spends his days committing sins without realising it! Then you think a miracle will occur to you? Previously, we mentioned Maryum mother of Prophet Isa (upon him peace), Asaf one of the Ministers of Suleiman (upon him peace) and Khidr (may Allah be pleased with him) and now we shall make it clear why. Their miracles are mentioned in the Quran. Asaf brought the throne of Bilkis to Suleiman (upon him peace), Maryum used to have fruits that were out of season before her and Khidr also knew about events before they occurred. So he was given access to unseen knowledge. Note that every miracle of a wali is a miracle of the Prophet (may Allah bestow peace and blessings upon him). So there is no way to count the miracles of the Prophet (may Allah bestow peace and blessings upon him) because they are increasing day by day. Also note that those things that will occur at the hands of the Dajjal/The imposter are deceptions/Irkhas. As for the miracles of the companions there are many and here are small introduction to the miracles of the right guided caliphs. Abu Bakr (may Allah be pleased with him) left a share of his inheritance to a male inheritor that was not born. He instructed that his share was made and later his bondswoman gave birth to a boy. This taken from Tajudden Al-Subki (Hujat Allah ala Al-Alameen by Sheikh Yusuf Al-Nabahani p.612). Umar (may Allah be pleased with him) talked to a youth who had died in their grave. He said to the deceased, “O so and so, “To he who fears his Lord has two paradises.” (Al-Rahman 46). The youth answered, “O Umar, My Lord has given me Paradise twice over.” (ibid). Uthman (may Allah be pleased with him) has a miracle that lasts as long as the Quran is recited and read. As it was he who saw that some had incomplete versions of the Quran. So he took the Quran that complied in Abu Bakr’s time, copied it and this was send to all the capital cites of Islam and was mass transmitted. So his miracle is that he made sure that the Quran was intact for billions of Muslims to benefit from. Ali (may Allah be pleased with him): “Al-Bayhaqi reports from Sa’id ibn Al-Mussab that, “We went into the graveyard of Medinah with Ali, may Allah be pleased with him, who proclaimed, ‘O people of the graves, peace and blessings of Allah upon you inform us about your news or shall we inform you?’ So we heard voices say, ‘Peace, blessings and the mercy of Allah be upon you, O leader of the believers inform us what occurred after us...” (Hujat Allah ala Al-Alameen by Sheikh Yusuf Al-Nabahani (may Allah show him mercy) p.615). Ali (may Allah be pleased with him) spoke about events that occurred after their passing. 8. He bears the harm the people give him. 12. He be a scholar because satan is a foe as Allah the Exalted has informed. 4. Happy condition and 5. Piercing insight. Hadith, "Allah does not take a heedless wali and if he takes him then he teaches him." This hadith does not have a sound chain according to Al-Sakhawi in Al-Maqasad Al-Hassanah but it has been proven over time. There are many Awliyah who did not receive any formal education but when Allah (the Exalted) made them Awliyah he bequeathed them knowledge of the scared law, like Ibrahim Al-Khawas (may Allah be pleased with them). They are quite a few and most seem to come from the indo pak subcontinent, unfortunately. As there is a respect for religious leaders and the ‘apparent’ respect for spiritual masters. Know that a true spiritual master will be humble and not arrogant. He won’t ever ask for money and if this occurs then he should not be followed. As that money is being used to line his own pockets. People who are looking for a spiritual master should pray istkharah for help. And know that it is important not to give your hand to a fool. A spiritual master should not touch female murids and this is a sure sign he is charlatan. Observe his character out of the limelight. This is not our choice but the choice of Allah (the Exalted). Other Awilyah who pass away can nominate those to take their place. Ibrahim Ibn Adham (may Allah show him mercy) once made a statement and this is not something to be taken lightly as the two main books that contain the names and biographies of the Awilyah; his name comes first; namely Risala Qushariyyah by Imam Al-Qushari (may Allah show him mercy) and Tabaqat Al-Awilyah by Ibn Al-Mulaqqin (may Allah show him mercy). Ibrahim said to a man, “Would you like to become to Allah a wali?” he said, “Yes.” He replied, “Do not desire a thing in the world and the afterlife, free yourself (from everything except) Allah Mighty and Exalted, accept traverse upon it, be kind upon it and you’ll be given it.” (Ibn Ajibah (may Allah show him mercy) in Miraj Al-Tashwif p.25). Where is your proof brother? “Are not the Awliyah of Allah those who have neither fear nor sadness upon them...” Quran: Yunis 10:62. Fear is about the future and sadness is about the past. They have no fear about what could happen in the future and no sadness about what happened to them. Why? Because it is all from Allah (the Exalted) they are pleased with the decree, in all that was and all that will be. Abu Hurayrah (may Allah be pleased with him) reports that the Messenger of Allah (may Allah bestow peace and blessings upon him) said, “Allah, the Exalted, said, “Whoever displays amenity to my Wali; I declare war upon him.” Reported by Al-Bukhari. There are more proofs for them but I have chosen to limit them here. The Quranic quote should suffice. There are only two types of people that Allah (the Exalted) has declared war over. Those who take riba/interest and those who harm a wali. It is quite 'popular' with many students of particular masters to disrespect other masters. This is not something that you should do unless you want Allah (the Exalted) to declare war over you. And who do you think is going to win? Not you because you have already lost! And ponder your state when you lose. So if someone's Sheikh has a large following keep your tongue away from backbiting and slandering him. Avoid slandering and backbiting anyone, especially a wali. As for those who are destroying the graves of the Awliyah this is not just a cowardly act but a foolish one. I would like to see the ending of those who have done such a wretched thing. Satan also has Awliyah and these are his elite. These are described in the Quran as well. The other meaning of Awliyah is protectors and guardians which are also used in the Quran. So when you read it know the context and check the translation. Know that the people do not choose the Awliyah, Allah does. So this is why the Awliyah have so many enemies because people hate them. We really hope this has clarified some matters and that people can understand who the Awliyah are. Further information can be read in Risala Qushariyyah which is excellent resource for anyone wanting to know about them. Know that one of the Prophets are better than all the Awilyah and do not be confused about this matter. There are different numbers of the Awliyah, Syria and Iraq are mentioned. May Allah give these regions relief. The picture is the grave of Ottoman ruler Abdulaziz Hamid the second, he was known to have taken the Shadhali path, who had taken the hand of Sheikh Abu Huda Al-Siyadi (may Allah show them both mercy). Some say that he was a Wali because he keep the Ottoman empire from folding and after his time did the caliphate stutter and fall. We pray this has been useful and Allah bless all the Messengers, Prophets, companions, the Ahl Al-Bayt and all the Muslims. 1. Your biggest challenge is to keep your heart clean. 2. When people attack you in the world are you bothered? Don’t worry whoever is wrong it going to get it. Don’t get your hands dirty. 3. How can one claim to be a servant of sacred sanctuaries when he is destroying sacred sites. 4. If you truly knew what tribulations were then you would be happy when misfortunes befall you. 5. The occupying forces in Afghanistan have been wiping out entire families for years and the taliban wound one person and it becomes headline news around the world? To me this is a publicity stunt and nothing more. 7. When you fix something that isn't broke do not expect it to work! 10. Do not allow yourself to have hopes in anything but Allah. 12. If you want someone to listen to you make the intention that it’s for the sake of Allah and that you have their best interests at heart. Then speak..
13. Every desire you have is a distraction from Allah. So He does not give you when you are distracted from Him, He gives you after you return. 14. It’s easy to be grateful in plenty and not in opposite. 15. Our normality is someone’s luxury. 16. Assign the past to the bin and throw it out. 17. A life without Allah is a life lost. 18. What we deem insignificant now will be monumental on the day of judgement. 19. Detach your heart from the world before you leave it or before its taken from you. 20. There is nothing that makes someone live pleasure or pain like a spouse. 21. You are not going to get something whilst you still have a desire for it. We were saddened to hear the news of the martyrdom of Sheikh Ramadan Al-Bouti, may Allah show him mercy. Shaykh Usama al-Sayyid al-Azhari posted the following regarding the noble death of Shaykh al-Bouti: "He was martyred while was explaining the tenth verse of Surah Ali 'Imran. When the explosion happened, he embraced the Qur'an to his chest, and when they tried to move him, he fell in prostration and they were unable to lift him for awhile." The official word from the Syrian ‘government’ that it was a suicide bomb that killed him. This is nothing further from the truth. He was gunned down in the masjid that he was teaching in whilst teaching Quranic commentary. Look at this picture and you can see bullet holes in the wood frame before the table. Habib Ali al-Jifri about Shaykh al-Bouti, Rahimahullah: “I spoke to him on the phone two weeks ago and the last thing he said to me was: "Only a few days of my life remain and I shall breathe the air of Paradise; do not forget your brother in your prayers." He wrote many works that have benefits the Muslims who have read them. Fiqh Al-Sirah and La madhabiyyah being two exceptional ones. 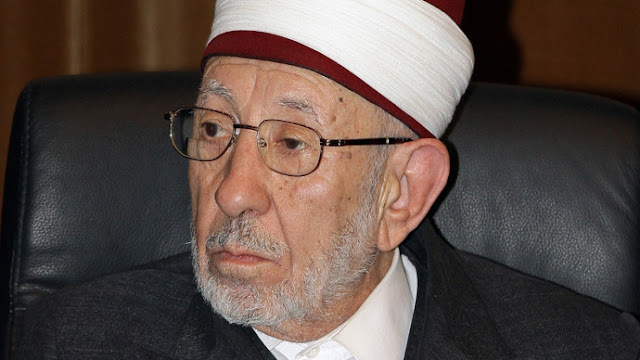 Sheikh Muhammad Al-Yaqoubi has been one of many scholarly voices who have expressed their sadness upon hearing this news. One of the saddest things that it is common place now. The attacking of scholars by the uneducated masses. This is nothing but mere partisanship and its a major sin. So those who took part in such vile behaviour should repent from their actions. This killing is nothing but a cowardly act from a government that is falling apart at the seams. The blood of such a scholar is never spilt except that those responsible will be given the swiftest punishment. A scholar is a sign of Islam and those ignorant people who harm them are but showing their dislike for the religion that they claim to be a part of. He was buried next to the grave of Salahuddin Al-Ayyubi (may Allah show them both mercy). We would like all those reading this to read fatiha for him, the Syrian people and the Muslims. Do you know how to raise kids?